May You Lead a Life of Balance, Harmony, Happiness… and a Lack of Hardship! In Japanese lore Kami touches upon powerful spirits that exist in nature to work in your behalf. The Kami Luck and Protection Spell could help these spirits bring you a peaceful existence filled with good fortune, good will, and great happiness. Are you tired of negative forces standing in between you and the life of happiness you so desire? Do you need protection from the negative forces surrounding you? Do you feel frustrated and hopeless that these unseen powerful forces are not working in your behalf to bring you all that you long for? Do you crave a life filled with harmony, peace and ease… surrounded by those who care for you and love you? Do you seek instant and prolonged good luck to propel you to good fortune, a loving relationship…and happiness beyond your wildest imagination? 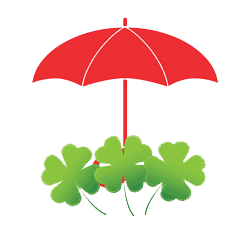 If the above words reflect your goals and aspirations, let Jean Claude’s powerful Kami Luck & Protection Spell bring you a life that could make you the envy of all who know you.